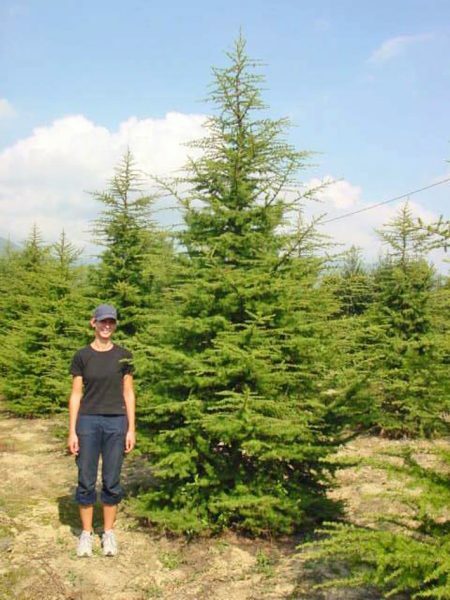 As suggested in its name, this noble tree originates from Lebanon and the countries surrounding it. The ‘Cedar of Lebanon’ was first brought to Britain in the mid 1600s and has been a firm favourite ever since. It is particularly well suited for stately homes due to its grandeur. This tree grows in a conical habit until maturity where its foliage becomes tiers of flat tops. Its needle-like foliage is green-grey in colour and it also produces large ovoid cones. The RHS has given Cedrus libani an Award of Merit.